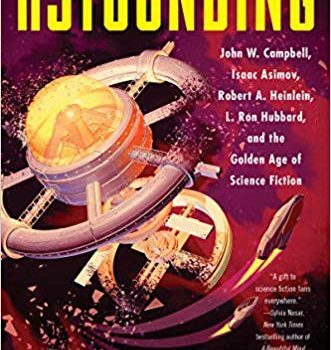 Astounding: John W. Campbell, Isaac Asimov, Robert A. Heinlein, L. Ron Hubbard, and the Golden Age of Science Fiction, Alec Nevala-Lee (Dey Street/William Morrow 978-0-06-257194-6, $28.99, 528pp, hc) October 2018. 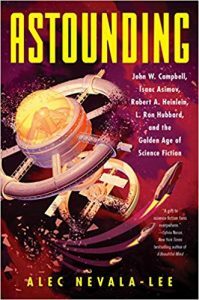 In the acknowledgements to Astounding: John W. Campbell, Isaac Asimov, Robert A. Hein­lein, L. Ron Hubbard, and the Golden Age of Science Fiction, Alec Nevala-Lee quotes the late Algis Budrys arguing that “we need a long, objec­tive look at John W. Campbell, Jr.,” but worrying that “we’re not likely to get one.” Budrys’s fear was that anyone who actually knew Campbell couldn’t really be objective about him, and much the same might be said of Nevala-Lee’s other subjects in this excellent four-pronged group bi­ography. That wasn’t the only reason it’s taken so long to get a thoroughly researched biography of Campbell, though: the fact is, except for that aging and diminishing cadre of readers and writers who still regard the 1940s as SF’s One True Golden Age, Campbell is not a figure who generates a lot of broad public or literary interest. His most famous story, “Who Goes There?”, appeared be­fore his legendary editorial career even began, and arguably remains popular today mostly because of its movie adaptations. His passions for loony pseudoscientific fads, from psionics to dianetics to the “Dean drive,” together with his cranky late-career editorials and undisguised racism, make him more than a little problematic for most modern readers, while his signature achievement – the at least partial maturation of American SF from its pulp origins – might not have amounted to much without the fortuitous arrival of Heinlein and Asimov at a key early point in his editorship of Astounding (Hubbard was another matter – an unarguably popular contributor, and the most closely involved with Campbell, even though he didn’t care nearly as much as the others about developing a more ambitious brand of SF). Nevala-Lee’s ingenious solution to the Camp­bell problem is to place him at the center of a web, in the context of his most famous authors, and to argue persuasively that as a group (with many supporting players), their impact on 20th-century American culture was significant enough to war­rant attention well beyond the usual SF fanscape. It may be a bit strained to claim, as Nevala-Lee does, that Campbell was “one of the key cultural figures of the twentieth century,” but he makes about as good a case for the claim as anyone ever has. Many of the details in Astounding can be found in William Patterson’s rather worshipful two-volume biography of Heinlein, in Asimov’s voluminously detailed (but almost insight-free) autobiographies, and Russell Miller’s Hubbard book Bare-Faced Messiah, but I’d venture that only the most devoted fans made it through the dense undergrowth of the Patterson and Asimov books, while the Miller, despite the advantage of the cultural prurience surrounding the whole Sci­entology spectacle, wasn’t really focused on SF. 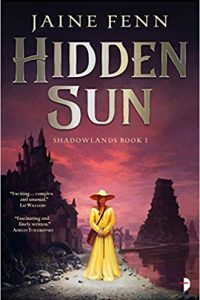 In other words, the story that Nevala-Lee pieces together here has never quite been assembled in such a detailed, balanced, and clearly written way – even though it might leave a lot of fans with an odd sense of relief that they never had to deal with these characters in person. Since Campbell is clearly the linchpin of the book, Nevala-Lee begins with his childhood, his early pulp sales, and his mediocre academic career (he was asked to leave MIT in his junior year, despite his later claims of being a nuclear physicist). Subsequent chapters alternate between presenting similar material on Heinlein, Hub­bard, and Asimov, with Heinlein – not surpris­ingly – emerging as the most interesting and complex figure of the four. Nearly everything is meticulously documented, with some 80 pages of notes, and while Nevala-Lee for the most part avoids the pack-it-all-in obsessiveness of fannish biography (something Patterson was occasion­ally guilty of), he does uncritically cite a few questionable sources such as Sam Moskowitz, and from time to time passes along an unlikely anecdote. Of Heinlein’s childhood reading of Kipling, Burroughs, and Horatio Alger, he says, “At night, under the bedcovers, he turned pages by candlelight,” which sounds like a pretty bad idea from a home-safety perspective. But the mention of early influences such as Kipling or Alger resonate suggestively with Heinlein’s own later fiction. Asimov, for his part, emerges as by far the nerdiest and most academically talented of the group, with the problematic aspects of his attitudes toward women emerging mostly in later life, while Hubbard, eager to construct a baroque version of himself as a latter day Sir Richard Burton, comes across as an almost habitual liar and con man, needlessly exaggerating almost all aspects of what Nevala-Lee acknowledges was an “indisputably colorful boyhood,” and managing to convince even Heinlein of some of his exagger­ated or manufactured wartime exploits. Campbell, on the other hand, was far more passionate about promoting Scientology than I’d suspected. Hub­bard’s central presence in the book, in fact, lies less in his contributions to the invention of modern SF (which he’d never been much interested in until it became a paying market for him) than in his role in seducing Campbell into the pseudo­scientific obsessions that eventually eroded the once-dominant influence of Astounding. Many of the familiar episodes of fan lore are here – Campbell’s mistaking his rather chilly aunt for his mother (they were twins) as a possible source for “Who Goes There?”, the counterintel­ligence agent visiting the Astounding offices in the wake of Cleve Cartmill’s nuclear-war story “Deadline” (which Nevala-Lee acknowledges was “undeniably bad”), the brief relationship of Campbell to J.B. Rhine and his ESP experiments at Duke, the obsession with Scientology and other causes that eventually alienated Asimov and Heinlein, the alleged connection between Stranger in a Strange Land and the Manson cult – but in almost every case, Nevala-Lee takes pains to track down the actual facts, going so far, for example, as writing to the MIT registrar to find that Campbell was an “unclassified student” rather than a physics major. Equally important as Nevala-Lee’s research are his skills as a reporter and writer, wrangling all these disparate sources into a coherent narrative arc that moves forward with the grace of a good tragicomic historical novel. 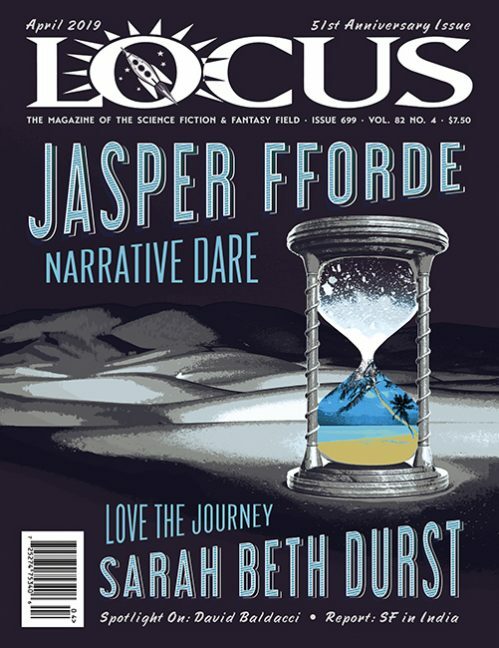 There may be an entire generation of SF writers now who feel little or no direct influence from Campbell and his group, but by the same token we have excellent writers who never plod­ded through Dickens or Melville; that doesn’t mean they shouldn’t be studied. As literary and cultural history, Astounding may well stand as the definitive account of this important era in the growth of modern SF. I found myself impressed with this book for what seems like a rather odd reason—I was completely and utterly familiar with a substantial amount of the source material. This story came from that memoir, this one from that biography, another one from that introduction in a short story collection, and so on. I’ve, predictably, read a lot of biographies, but there, when I recognize something, it’s usually from another biography. 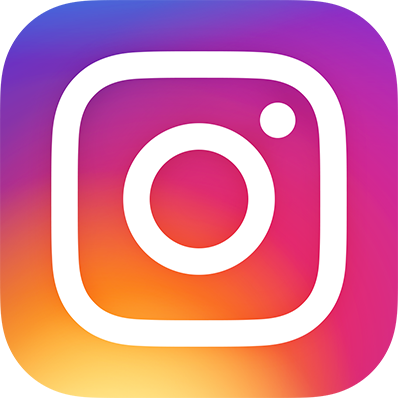 Here, I figure, maybe seventy percent were from material I had read closely enough to have intimate understanding of it. However, it’s the telling of it, the putting of it in context is of some importance. Events (and people) relate to each other in ways I hadn’t understood, but which seem clear once seen. It’s a great job and I’m glad to have it in my pile of books. “Asimov’s voluminously detailed (but almost insight-free) autobiographies…” Really? What an odd assertion. As odd as the claim that one must be a dedicated fan indeed to navigate the “dense undergrowth” of Asimov’s readable and engaging volumes. What is the reviewer talking about?